File under: The centrality of sanook (สนุก), or fun, in Thai culture. I saw this motorcycle taxi driver’s helmet yesterday and simply had to snap a pic. 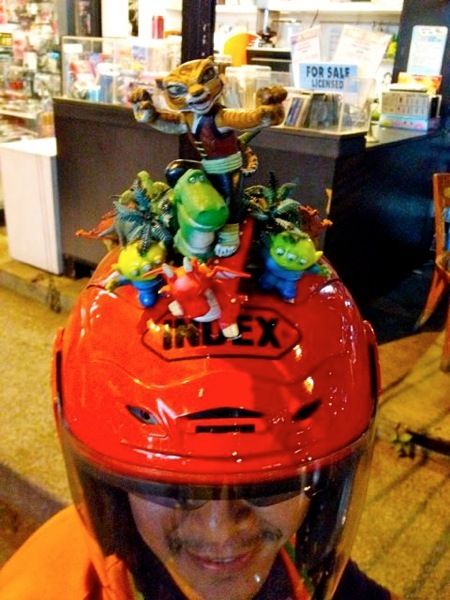 The guy had quite a menagerie of figures hitching a ride on top of the old brain bucket, from aliens to crocodiles to what looks like a kung fu-practicing lion.